Peace Chorale party – It's about time! 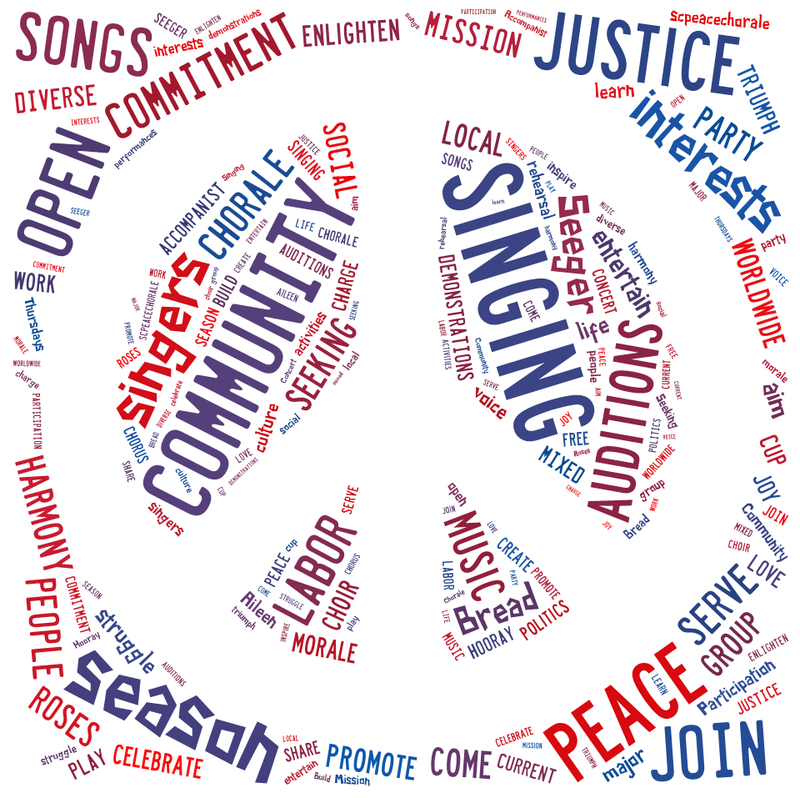 The Santa Cruz Peace Chorale, a singing community for peace and justice, invites you to an open rehearsal and party Saturday, August 22nd 1-4 pm. Mount Calvary Lutheran Church 2402 Cabrillo College Drive, Soquel. Singing, games, bread and roses. Open rehearsals (no auditions) every Thursday in September 7:30-9:00 pm same location. I love singing with the chorale for the past three years. Like many of the people I talk to, I grew up thinking I couldn’t sing. In this supportive group and with the direction of Aileen Vance, I’ve discovered I can.